Greetings friends and fellow crafters. My weekly prescription from The Stamp Doctor has been filled. 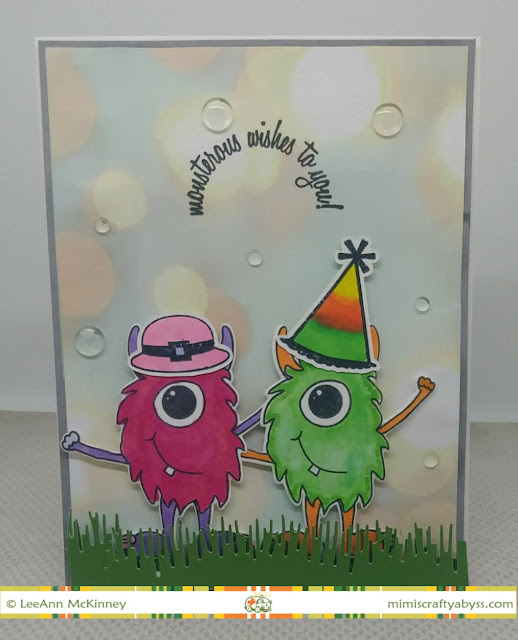 Today I chose to use the Stamp and Die set of Champ The Monster. First I stamped the Champ and hat images using Memento Tuxedo Black ink, as I knew I was going to be using my Alcohol markers to color. I colored up my images and used the matching dies to cut them out. I searched my stash for a pattern paper that I wanted to use for my background, and found some shimmer cardstock to use for grass. So, using the Grass Edger Die I made a couple of cuts so that I could layer the grass. I stamped the sentiment using VersaFine Onyx Black ink and finished off the project with some strategically placed clear dots. I hope you enjoy this post, please check out and follow myself and The Stamp Doctor on Social Media. *Links to product in this post are affiliate links which will provide a crafty fund for me, at no cost to you.